Along with a restaurant, this smoke-free hotel has a fitness centre and a bar/lounge. Free WiFi in public areas, a free area shuttle and a free manager's reception are also provided. Other amenities include valet parking, concierge services and dry cleaning. All 454 rooms feature thoughtful touches such as bathrobes and slippers, plus free WiFi, free wired Internet and flat-screen TVs with satellite channels. Guests will also find minibars, room service (during limited hours) and coffee/tea makers. The hotel offers a restaurant. A bar/lounge is on site where guests can unwind with a drink. Guests can enjoy a complimentary manager's reception on selected days. Wireless Internet access is complimentary. 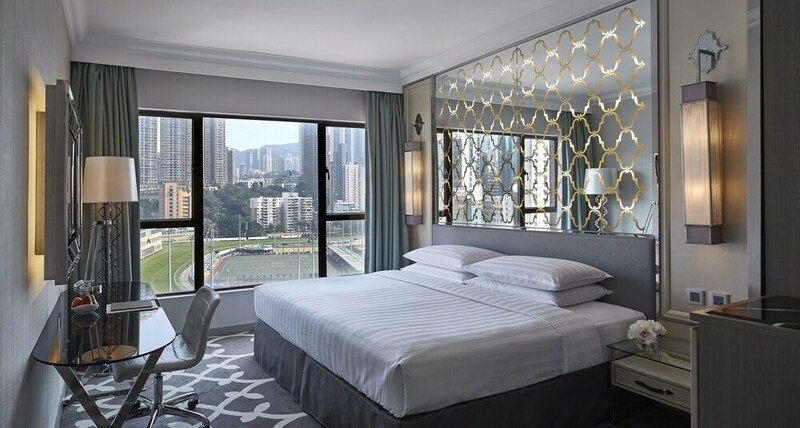 Dorsett Wanchai Hong Kong is a smoke-free property. The Dining House – This restaurant specialises in Chinese cuisine and serves breakfast, lunch and dinner. Open daily. 3T – On-site bar. Happy hour is offered. Open daily. Start your morning with a buffet breakfast, available each day from 6:30 AM to 10:30 AM for a surcharge. The hotel hosts a free manager's reception for you to enjoy on select days. You can order up room service during limited hours. Airport shuttle service is available at scheduled times from 7 AM to 11 PM. Contact the property in advance to get details. Fees may apply. Contact the property in advance to make arrangements.